I will hopefully have some time to try some more complicated designs within the next couple of weeks, but I can't promise anything! I'm beginning my PhD, and am also in the midst of writing a paper and wrapping up my Masters work for my colleagues. It is quite a busy time, and I'm very excited for the day I finally can take a guilt-free break! It is only fitting that my absolute most favourite restaurant in the world is the first restaurant I write a review for. 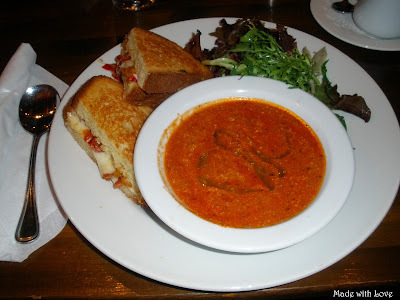 Twisted Fork Bistro is a small, cramped, dark gem located on Granville St in Vancouver, British Colombia. 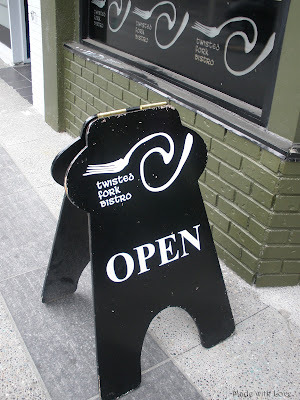 I first discovered the Twisted Fork when I was working in Vancouver in the summer of 2009. Back then, not many knew about this place so when I brought visiting friends there we always got a seat by the window, no matter how large the party. Now, apparently, the general consensus is for customers to arrive early, otherwise you may be stuck in a 45 min line. seediness and modern-city luxury. 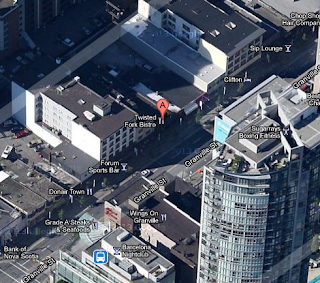 I loved exploring Granville St.
after a tasty brunch at the Twisted Fork! I can't tell you how excited I am that this place has become popular! 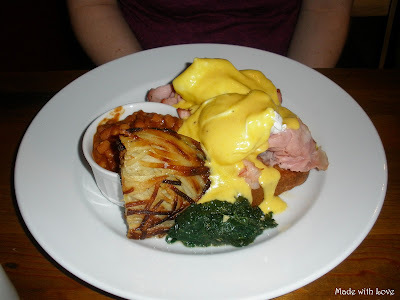 I have never eaten dinner at the Twisted Fork, and when I was in Vancouver most people seemed to agree that their brunch menu was far superior to anything they served at other times. 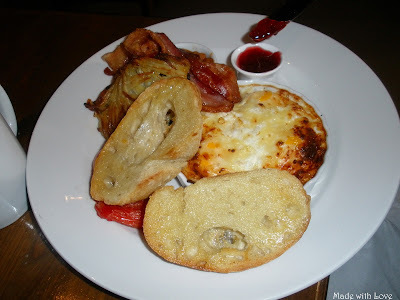 So, if you are in Vancouver, make sure you set aside a morning to have brunch here. 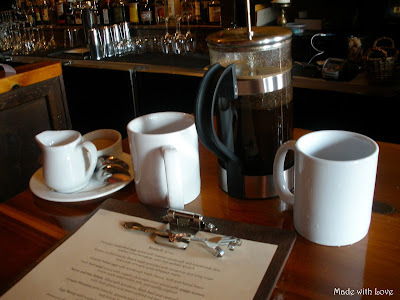 Upon arriving, the first thing you should do is order some coffee. 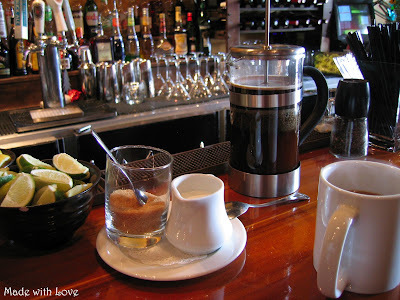 Before coming to this restaurant, I hated coffee (nasty, bitter stuff!) but I took one sip of their french-pressed brew and I fell in love. I have been an avid coffee-drinker ever since! As you can see, the bar is a delightful mess of glass and liquor. They offer a variety of drinks, including a few whose ingredients are chosen specifically to treat nasty hangovers (I could use something like that right about now!). Now onto the food. 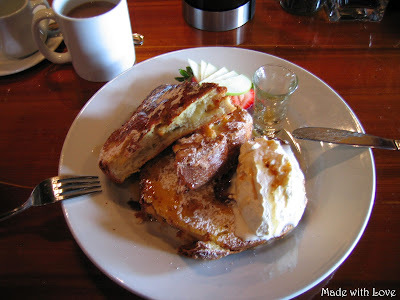 My all-time favourite is the brioche french toast. Stuffed with bananas, covered in icing sugar, whipped cream, and syrup, this dish is to die for. I have yet to taste any french toast that compares. 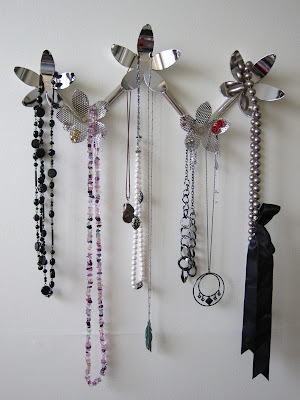 A recent post on Apartment Therapy recently caught my eye; Pretty Organized: Stylish Necklace Displays. 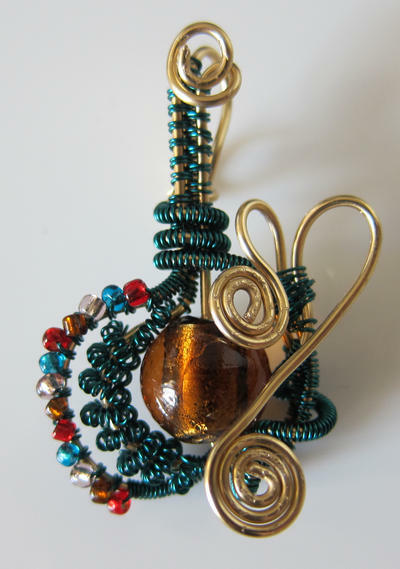 All examples showcased a recent trend of hanging your jewelery on the wall as if it is art. While I do like the first picture from Lucky Magazine, I don't quite see the beauty of hanging all your jewelery on ordinary hooks or pushpins. I would prefer something decorative to display my jewelery to begin with, similar to this blogger's diy spray paint solution to jewelery display. 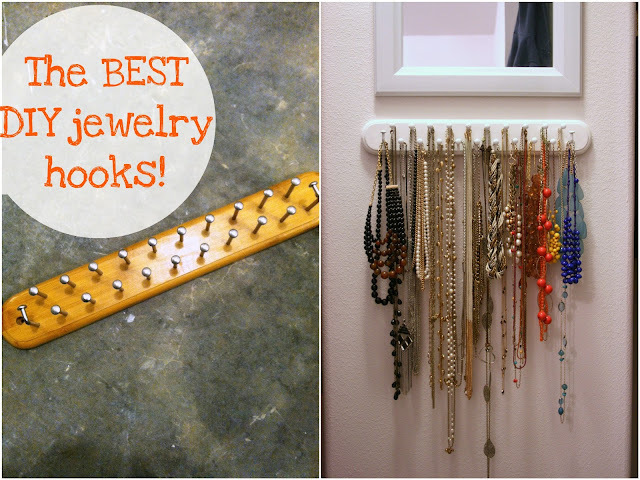 Both of these are awesome examples of some DIY jewelery display/storage solutions. Sadly, I have not had time to customize my jewelery storage plans but I do have all my larger necklaces on display. My current storage and display program is under construction, but this was my original look, and I loved it!